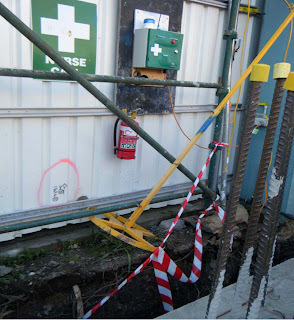 Workplace Safety Blog | Safetycare | Safety Training Videos | Free Safety Pictures and Resources: Shocking Worksite! Anybody trying to use the evacuation siren, first aid kit or fire extinguisher at this worksite could end up requiring emergency assistance themselves. 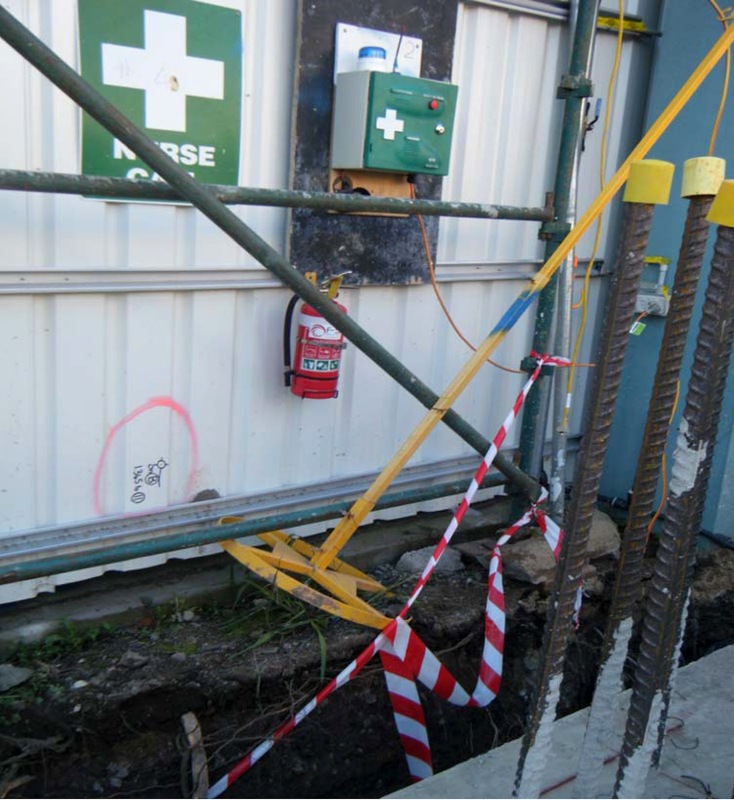 Principal contractors and builders should constantly monitor their sites to ensure the emergency equipment remains readily accessible.